We, or should I say "you", are now at the half way mark of the Marcus Fabrics Designer Friends and Companions SEW ALONG. This week's block is brought to you by the team of Gloria Parsons, Vicky Ianuucci, and Heather Lynn at The Olde Green Cupboard Designs. These three talented ladies design some gorgeous quilts along with other great patterns for decorating items like pillows and runners. They also coordinate the Camp Blanding Retreats which I one day hope to be able to attend. Here is a picture of their block. Aren't those little baskets cute? 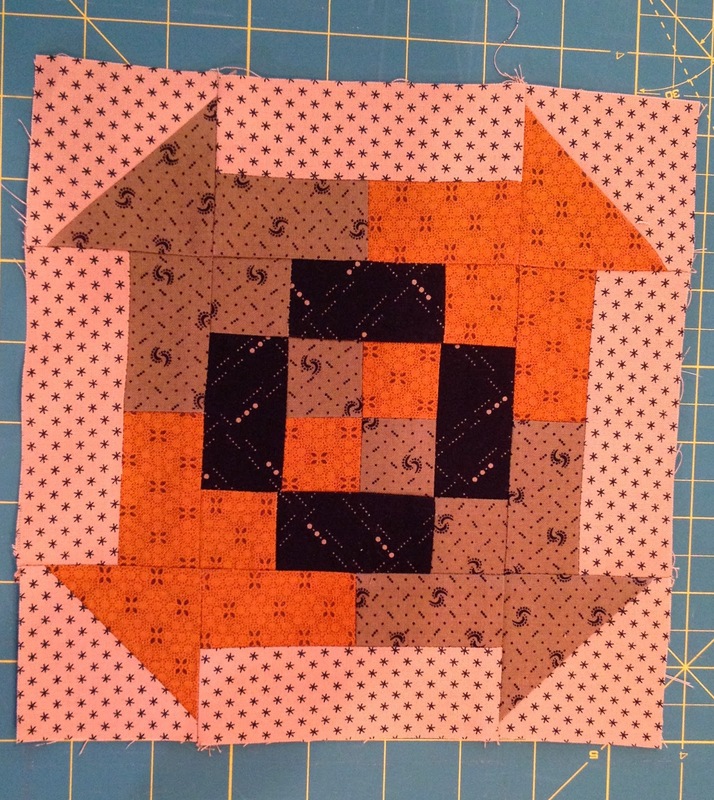 This is such a clever block--I am itching to stich a few up in fabrics from my stash that I've been hoarding for just the right project. If you click on the block it will take you right to the Olde Green Cupboard blog where you will find the instructions. And be eligible for a giveaway! Of course, it's never too late to join our sew-along. I am on deck for next Friday. Here's the info, just in case you want to catch up and get ready for the surprise at the end! Here is the designer and blog schedule for our Friends & Companions sew-along. Be sure to pass this news along to all your friends!